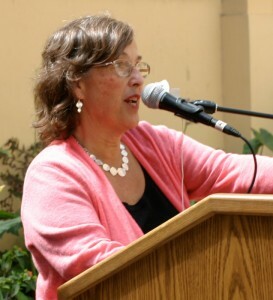 Margaret Brodkin’s leadership transformed the landscape for children in San Francisco. She is a nationally recognized pioneer who has led nonprofits, an intermediary organization and a government agency. She is now lending her wisdom and expertise to communities and organizations throughout the country. I have spent a lifetime working for what is right for our children, youth and families -and have learned many lessons. Making change is never easy – and it’s never over. I want to help you find the right path to follow as you struggle to create strong organizations and strong and just communities. The most effective consultations are collaborative processes. We will work together to make your vision a reality. 4 1/2 years as Director of San Francisco’s Department of Children, Youth & Their Families – managing an over $100 million budget and building the department into a hub of innovation, accountability, policy leadership and community engagement. 3 years as Director of New Day for Learning – an intermediary partnership organization launching San Francisco’s community school initiative, resulting in the institutionalization of community schools as a centerpiece of the SFUSD education reforms. Margaret is recognized as the “Mother of the San Francisco Children’s Fund,” a $50 million annual fund that made San Francisco the first city in the country to provide local dedicated funding for children. Margaret is a trained group worker, held a Licensed Clinical Social Worker (LCSW) certification for 25 years, and has had experience as an individual and group counselor in child welfare and mental health settings. She has the skills to guide you through a problem-solving process. Margaret’s latest venture is a project to promote local dedicated funding streams for children, youth and families throughout California. The initiative, called “Funding the Next Generation,” is being sponsored by the First 5 Association of California, in collaboration with seven other state-wide children’s organizations. Through this innovative endeavor, Margaret is sharing the lessons of a lifetime with communities throughout the state, and developing a unique network of children’s budget advocates and a composite of information about the reallocation of resources at the local level.